AutoFocus contextual threat intelligence service accelerates analysis, correlation and prevention workflows. Unique, targeted attacks are automatically prioritized with full context, allowing security teams to respond to critical attacks faster, without additional IT security resources. 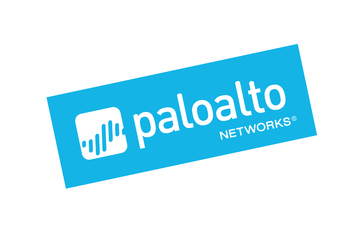 Work for Palo Alto Networks AutoFocus? Learning about Palo Alto Networks AutoFocus? Palo Alto Networks AutoFocus is incredibly while suited for empowering companies and customers to identify and prevent targeted attacks on a a network. I really like the Dashboard, which provides advanced statistical breakdowns on pretty much every facet of the network, including DNS, downloads, requests, applications, and even maps. It is hard to dislike this software because it provides for pretty much every use-case I have. The user interface could be a little bit better in terms of UX, but it is a beautiful dashboard. The tool really allows you to see things at a surface level and then dig deeper as necessary. This is an incredibly complete solution by a company that provides for the likes of Microsoft. You can trust this solution and its quality to deliver, even at companies with 10,000+ employees. Prevention of Malware/targeted attacks on a network. Threat/Risk removal from our business and our business intelligence. It have flexibilty at user end. * We monitor all Palo Alto Networks AutoFocus reviews to prevent fraudulent reviews and keep review quality high. We do not post reviews by company employees or direct competitors. Validated reviews require the user to submit a screenshot of the product containing their user ID, in order to verify a user is an actual user of the product. Hi there! Are you looking to implement a solution like Palo Alto Networks AutoFocus?